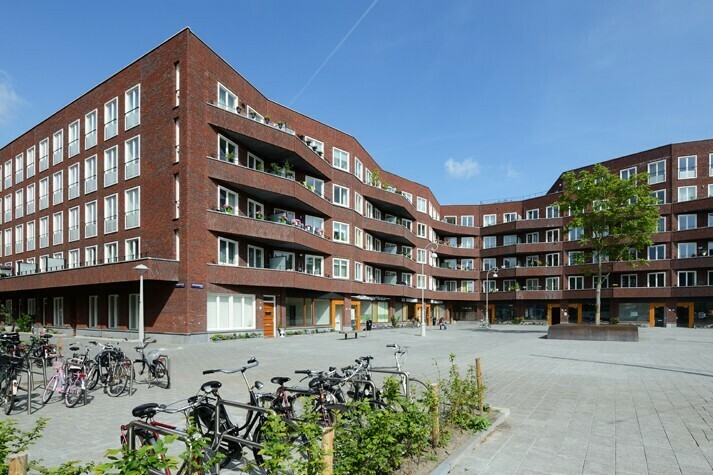 De Wending, (The Turn), is a contemporary city block within the heritage of the Amsterdam School. 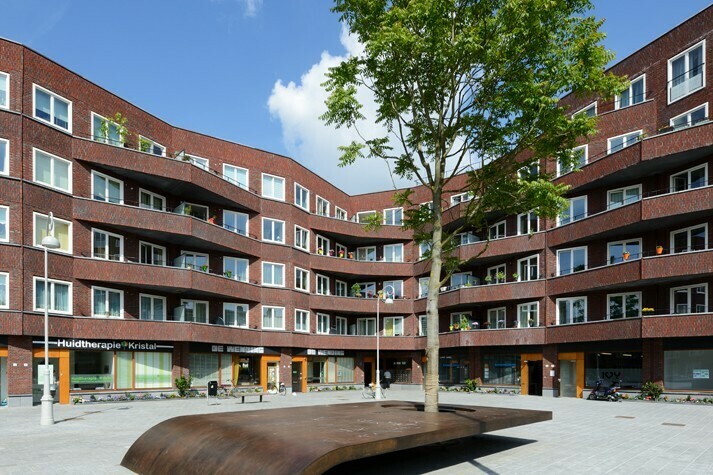 More than just a building, the development by Inbo results in a new city square as well. 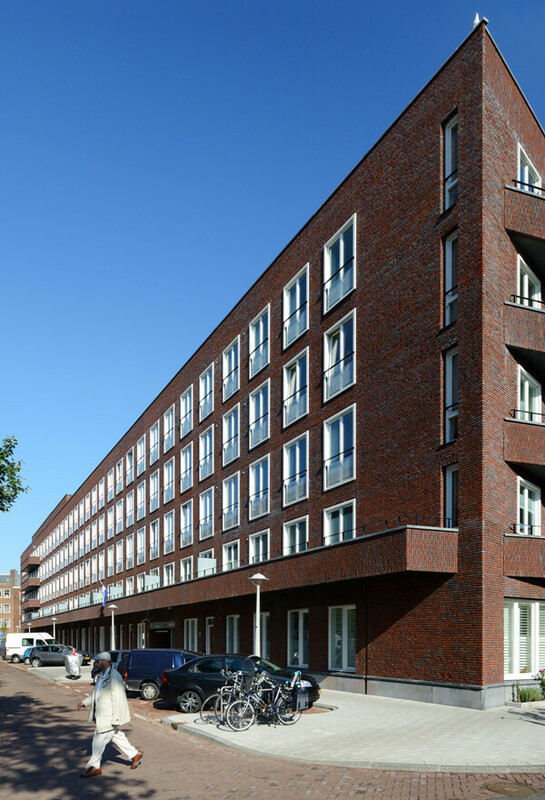 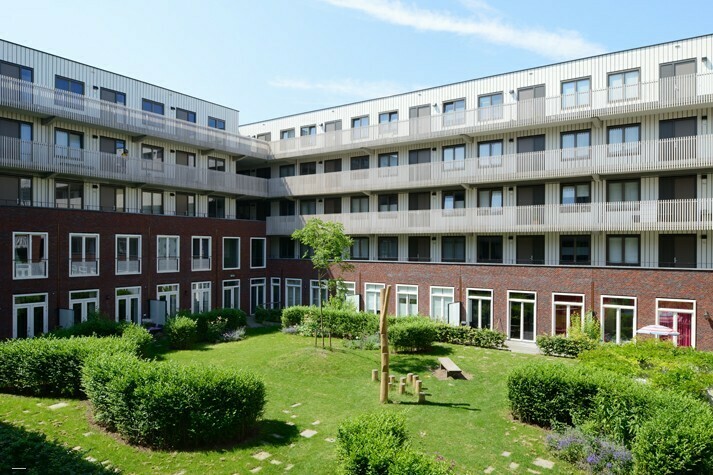 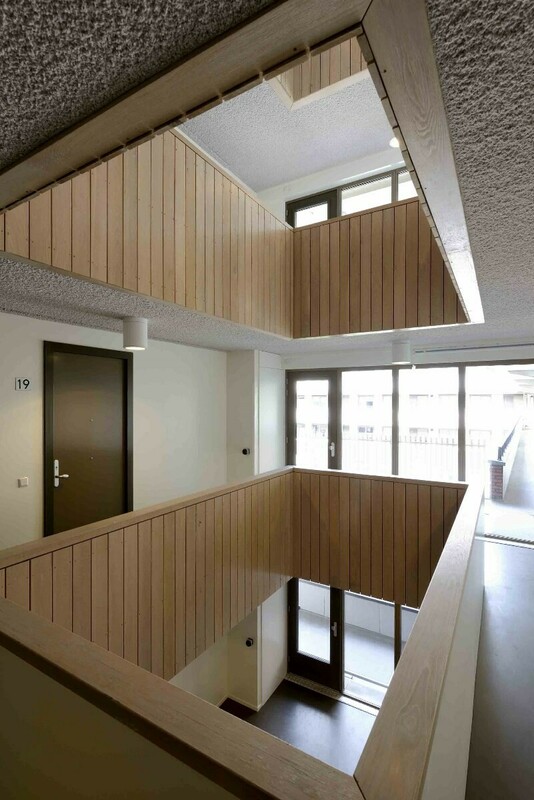 The architecture of the block, designed by Tako Postma and Wilco van Oosten, fits seamlessly into the Amsterdam School architecture that is so characteristic to this particular part of the city. 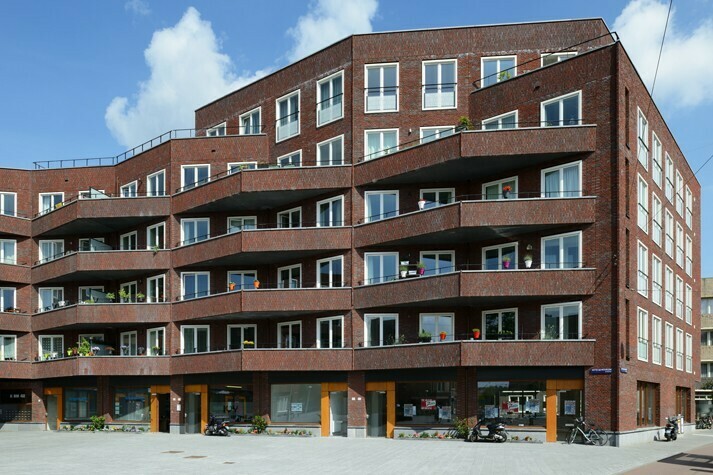 While the fine detailing of the masonry respects and builds on the surrounding characteristics, the contemporary development also stands out thanks to the expressive balconied façade overlooking the new square at Admiralengracht. 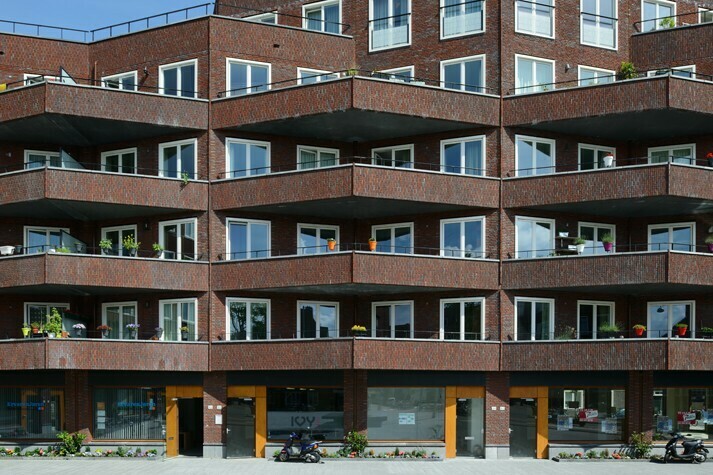 The new public space is further landmarked by an increase in building height at the corner of the Witte de Withstraat.